It’s been a while since we all had our Julia-fix, hasn’t it? Lindsay’s favorite little firecracker certainly hasn’t let up in the last few months! She has so much personality, I can’t help but laugh every time I’m around her. This picture was taken the other morning outside of our dental clinic. We were just hanging out and talking… and she wanted me to hang her upside down repeatedly. I love her laugh. It really just makes my day. Her foster mom told us that they gave her a 100-piece puzzle. She needed a little help to do it the first time, but now she can do the whole thing on her own in under 30 minutes! Impressive, isn’t it? That is really cute… quick question – what happened to the link to your photo album? Well, I haven’t updated the photo album in a very long time, so I took it off. I lost the password to the account, and for some reason cannot retrieve it… So, I just decided to remove the link. Sorry! Julia is adorable! 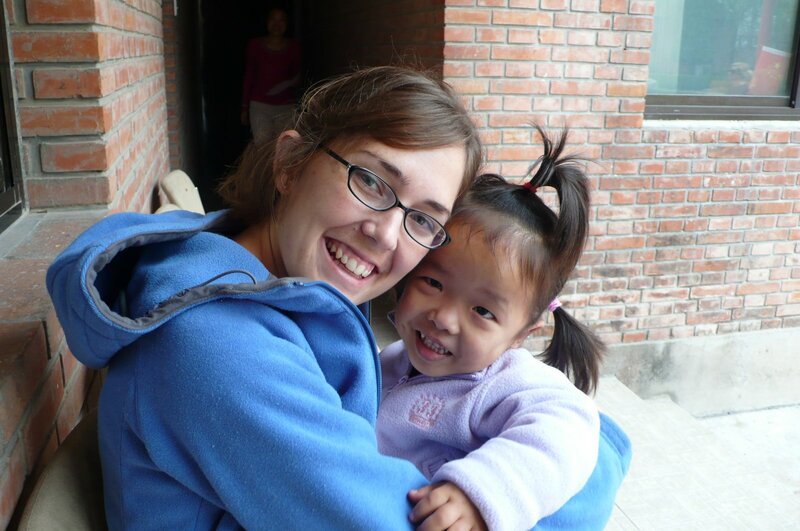 I love watching the videos of her & pray, so often, that she would meet her forever family soon!!! You know I LOVE Julia and have missed posts about her! Thanks for the Julia fix. I could almost see and hear her after she ate that big meal! I pray this child gets a family. Love your blog. I’m so glad I’m on your list to receive. Glad to know you are well Carrie.. Pray Jacob is also.. Love You Guys a lot..